Claims represent an insurance company’s biggest expense, with claims payouts and loss-adjustment expenses accounting for up to 80 percent of an insurance company’s revenue. One way to reduce these expenses is through claims recovery. At a time when new insurers are entering the market and competition is fierce, insurance companies should be looking at all angles to maximise efficiency, reduce costs, and optimise revenue. Cost containment and claims recovery is one area in which insurers and TPAs ( third party administrators) can make simple, yet highly effective improvements that yield surprising, positive financial impact. Before outsourcing the claims recoveries to a specialist debt recovery agency and litigation practice, such as Debt Recoveries Australia and ADC Legal, each insurer can make changes internally to improve claims recovery systems in order to optimise revenue and reduce claims costs. Improvements can be in the areas of data mining, automated case management, and reporting and analytics. Identify more workable cases quickly and accurately. Data mining, sophisticated algorithms, and built-in business rules help identify opportunities to recover or avoid costs quickly and more accurately. Achieve visibility and flexible reporting. Interactive analytics can quantify recovery efforts and provide detailed insight across case inventory. The increased insight helps forecast future recoveries, plan more accurately, and manage and improve metrics such as claims loss ratio. Simplify compliance and audits. Information-driven solutions give claims managers ready access to a complete history of information about their claims costs. This allows business stakeholders to gather required data for audits much more quickly and easily than they can collect it today. Closed case audits can quickly identify any over-looked recovery opportunities. Enhance employee relations. 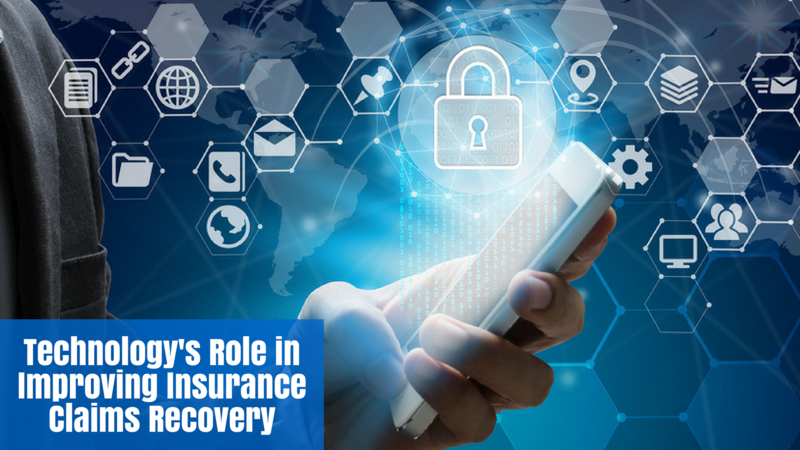 With standardized communications and more information readily available through a web-based platform, your recovery staff will require fewer calls and interruptions, allowing them to focus on the insured. Streamline the recovery process. Online case management and workflow automation greatly simplifies recovery efforts. Recovery teams can manage cases with all the required documentation and information at their fingertips in one easily accessible location, drastically reducing the time required to manage each case. Centralized case management increases the productivity of existing staff. Accelerate and increase recoveries. By giving your recovery teams the power to identify cases faster, pursue more workable cases, eliminate false positives, and consolidate and automate workflow/case management, you enable them to speed up the recovery process and collect more money sooner. Unfortunately, opportunities for claims recovery are often obscured by the sheer volume of claims and workloads in claims teams. In addition, many recovery opportunities are missed simply because the indicator for a possible recovery is hidden in the claims narrative – for example, in unstructured text in claims forms or police reports. The management of overworked and understaffed claims teams, has led to a steady increase in time-consuming investigations and ineffective recovery processes. Unfortunately, this has resulted in missed opportunities for recovery that could have considerable implications for an insurer’s overall profitability. In addition, loss expenses have risen, as thorough recovery investigations can be both lengthy and costly. Outsourcing this part of the claims process can enable insurers to recover loss costs and have a positive impact on their profitability. Detect all cases to be recovered, thanks to closed case audits and reviews. Reduce investigation time and costs by using our economies of scale and specialist staff. This is what we do all day every day, so we have speed and efficiency on our side. Gain a deeper understanding of claims by using past data and past experience. As a result of outsourcing your claims recoveries, you can reduce claims costs overall, ensure greater customer satisfaction and improve profitability for the company.